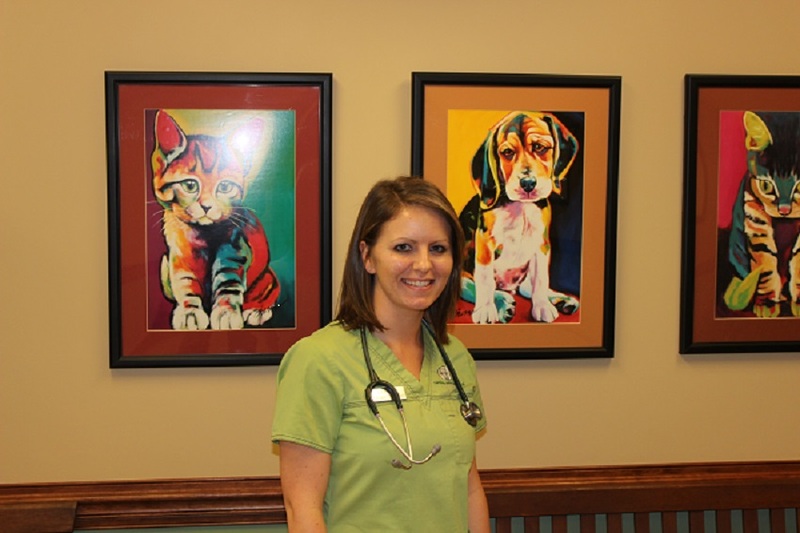 Amanda joined Carolina Animal Hospital in the fall of 2007. In addition to her Veterinary Assistant duties, she also supports the practice in the area of Business Office Management. She received her Bachelor of Science degree in Natural Resource Management from the University of Tennessee - Martin Campus. Her work in Wildlife Biology included special projects assistance to The U.S. Fish & Wildlife Service and The Tennessee Wildlife Resources Agency and an internship position with the Nashville Zoo. Her prior experience includes several years in both Receptionist and Veterinary Assistant roles with Small Animal General Practices. Amanda and her husband share their home with Elvis and Mia, two cats, and Sierra and Knox, two mixed breed dogs. The Scott's adopted Sierra from our hospital after she underwent multiple procedures to repair injuries sustained due to prior neglect. Carrie joined our staff in the summer of 2012. 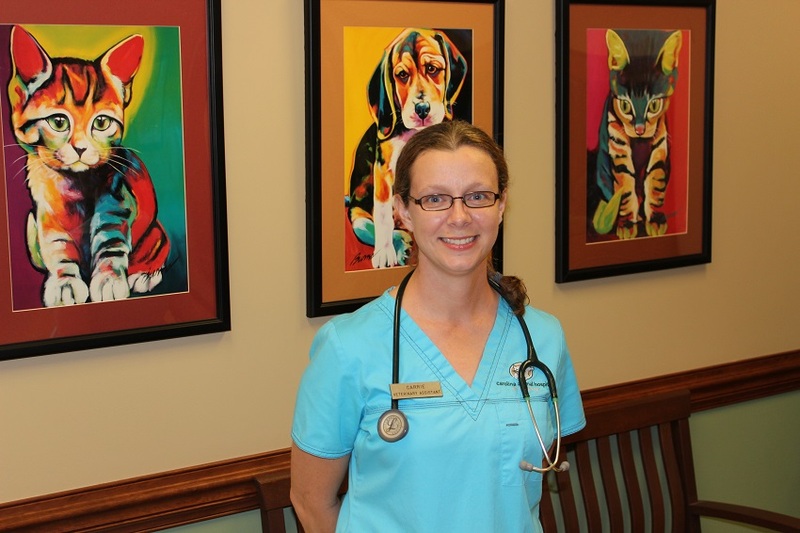 Carrie serves as our primary anesthesia, surgical and dental veterinary assistant. Outside of work Carrie lives with her two "Pitties", Sora and Indigo, her Staffordshire Terrier named Bentley, and an adopted stray "Justice" aka "shrimp". Brooke joined our staff spring 2018. She comes to us from another veterinary practice where she had previously worked her way up from kennel staff to veterinary assistant before attending the Veterinary Technician Program at Northern Virginia Community College.